being a boat owner I have to use waterproof grease on the grease points for the stern drive. I also use it on all the car bits that are vulnerable to water/corrosion like rear door latches, bonnet catches etc. You can get it from your local chandlers - and there will be one wherever you live. Posted: Tue May 10, 2005 15:07 Post subject: Google Ads keep the POCUK free to join! Found time to look at my rear entry today - been blocked for a month! 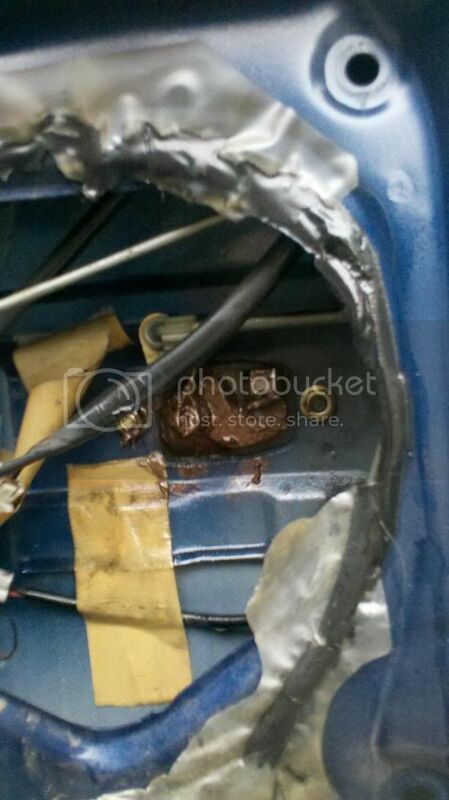 had too strip the door covering off the paj today, the boot wouldnt open, sprayed some WD40 on the mechanism to free it , some water had got in and rusted the return spring up, keep your eyes open and dont take to a garage its an easy fix. Lookng for a bit of help. My rear dooe on my Pajero has stopped working. The handle is just floppy when you squeeze it to open. I have an Haynes manual which isn't that helpful and I can't even open the door from the inside to give me room to look. 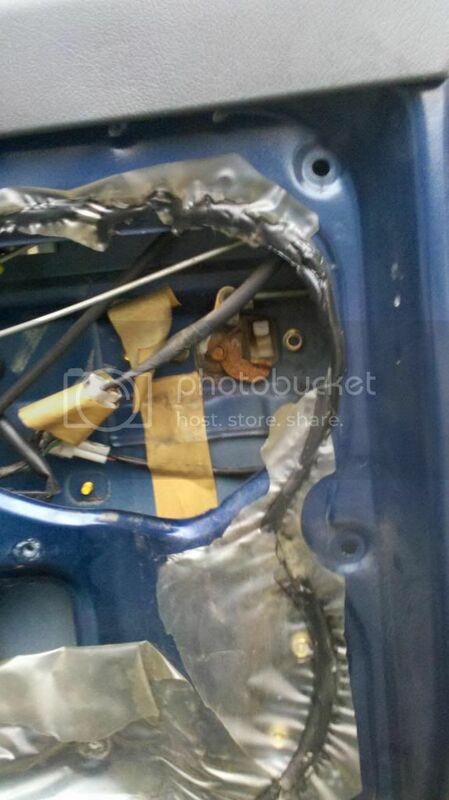 Is there a way I can get to the rear door mechanism without opening the rear door as I can't see any obvious srews to undo to get the inside panel off. Hope someone can help or has come across this problem and knows and easy solution. You need to climb in the rear compartment (boot space) to get at the inside of the back door. take off the handle Two screws) and take out the tool storage compartment ( not sure, two or four Screws) and the release catch (one screw, i think), then prise off the door card with a flat blade, just go round the edges and lever it off. 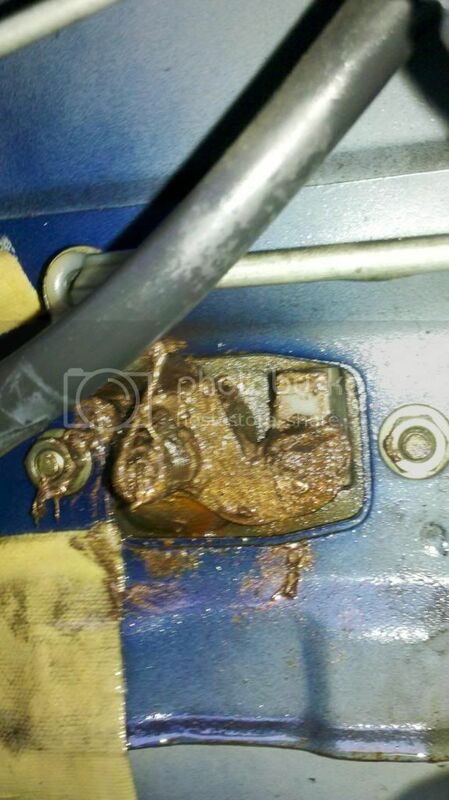 You can then see all the mechanism give it a good going over with wd40 then move it about to free it off. slap a bit of grease on the moving parts. As they say, assembly is the reverse. Job done. half an hour or so. Do you have to take the door card off totally or can you just spray WD40 on it and open and close it a few times? The handle on my door has gone floppy as someone stated, a couple of times now. It seems to happen when it's very cold and usually when we're in the middle of nowhere with a massive muddy dog and two muddy buggies to get back in the boot! the little white plastic lever is attached to the rear door handle and pushes down the catch. 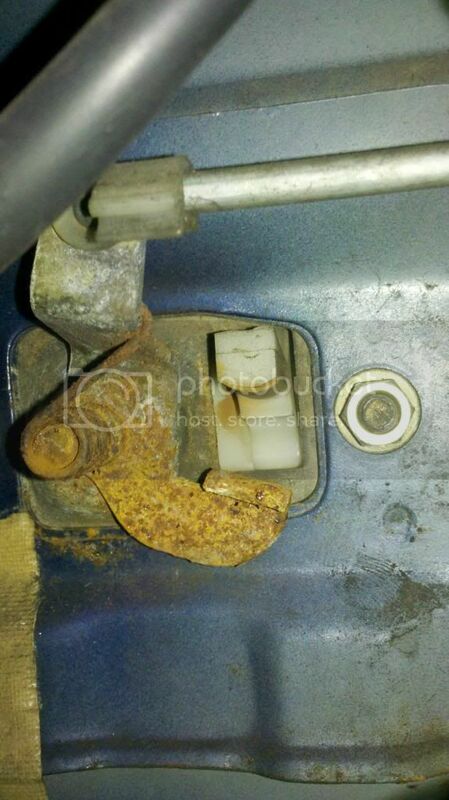 if it is rusted/seized, and stuck down, then the rear door handle is "floppy"